Those seeking to enter Southeast Academy must go through an enrollment process that includes a readiness interview and review of transcripts. 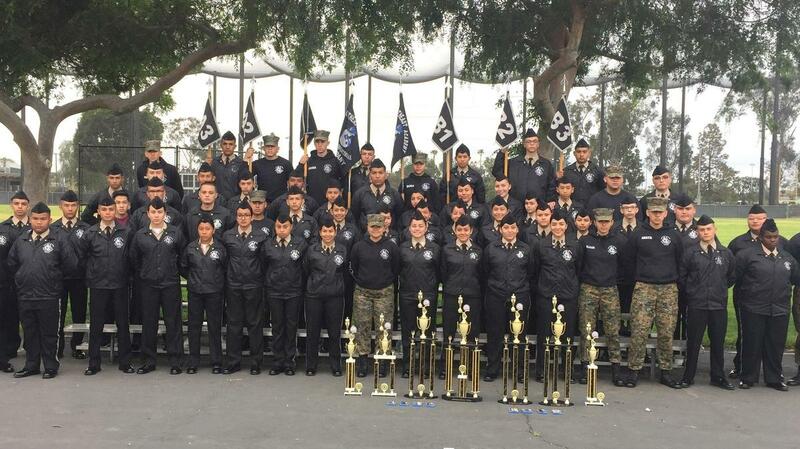 The military-style academy, a winner of the prestigious state Golden Bell Award, is administered by the Norwalk-La Mirada Unified School District and is not a “reform” school nor a detention facility and is not part of the juvenile judicial system. The student population of Southeast Academy is diverse and in addition to the cities of Norwalk, La Mirada and Santa Fe Springs, applicants have come from across the region including Buena Park, Cerritos, Downey, Fullerton, Long Beach, Los Angeles, Montebello, Pico Rivera, Riverside and Whittier. Under the direction and guidance of highly qualified faculty and staff, and adhering to the campus motto of “Excellence is Our Standard,” students, who are known as cadets, are fully integrated into the public service career pathways of law enforcement, military, fire science and related fields. 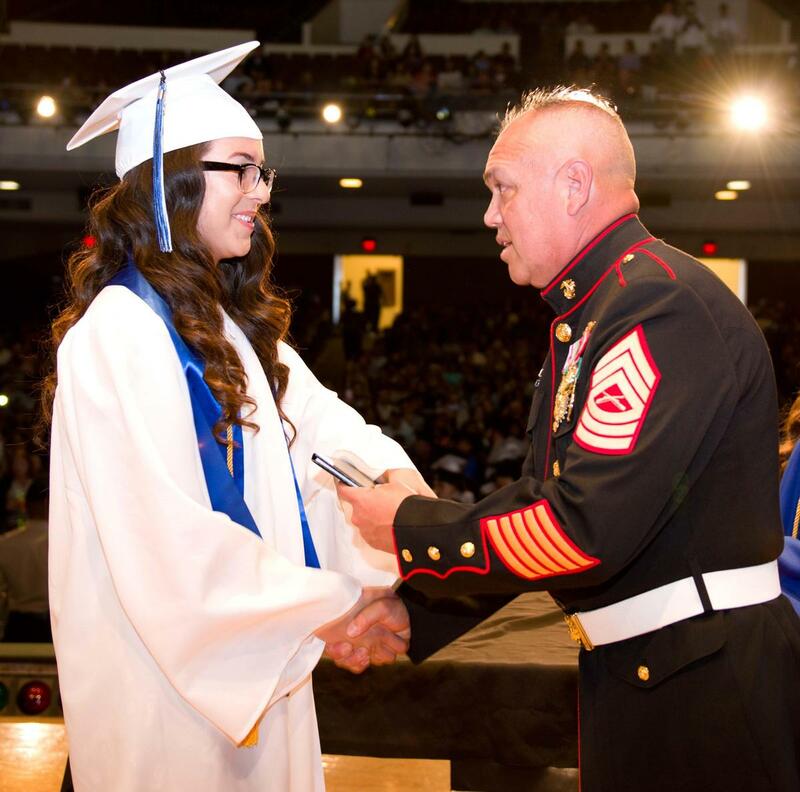 Every cadet is encouraged to strive for academic excellence as the academy dedicates itself to developing each young man and woman morally, intellectually and physically. 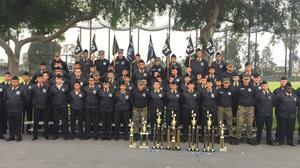 Cadets all share the state of mind of being dedicated scholars and skilled leaders of character with high standards. Specifically, the academy offers a fully accredited curriculum leading to a public high school diploma. In addition to a variety of courses available to complete “A-G” requirements, it offers Advanced Placement, arts and career technical education classes. 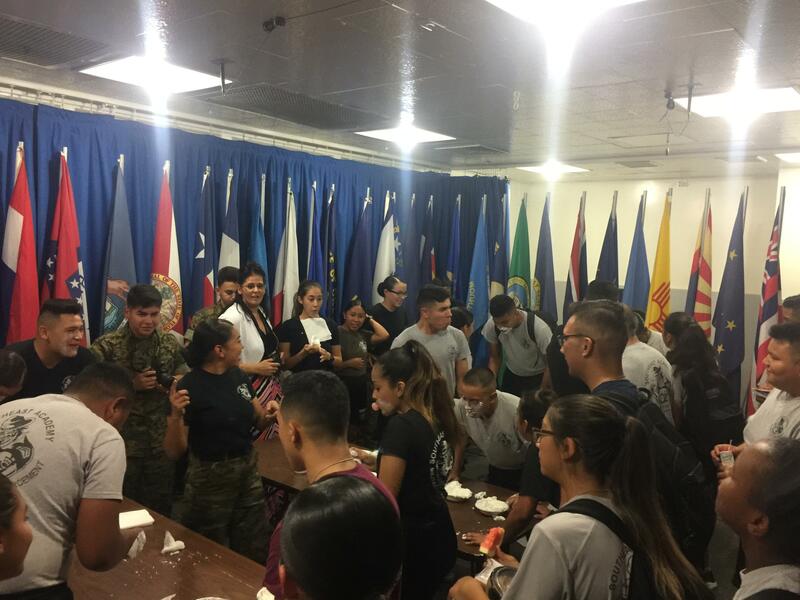 Also offered is a full range of extracurricular activities, military drill teams, honor guards, school clubs, sports and physical conditioning. In addition to college scholarship and financial aid opportunities, application and contact information is available for all five U.S. service academies: West Point, Naval Academy, Coast Guard Academy, Air Force Academy and Merchant Marine Academy. Photo 1: Student cadets gather in formation on the grounds of Southeast Academy High School, a tuition-free, military style public school of choice in Norwalk. Credit: Southeast Academy High School. Photo 2: Master Sgt. Marty Schafer, director of Southeast Academy High School, presents a diploma during last month’s graduation ceremony held at Excelsior Auditorium in Norwalk. Credit: Viva Photo Studio. 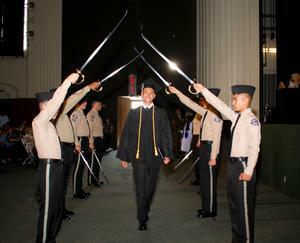 Photo 3: Student cadets raise their sabers into the traditional military high arch as seniors pass through at last month’s graduation ceremony held at Excelsior Auditorium in Norwalk. Credit: Viva Photo Studio.